Campbell, William. Ē-mn̂g-im Sin Jī-tián (Dictionary of the Amoy Vernacular). Tainan, Taiwan: Tâi-oân Kàu-hoē Kong-pò-siā (Taiwan Church Press, Presbyterian Church in Taiwan). 1993-06 (First published 1913-07). Iâu Chèng-to. Cheng-soán Pe̍h-oē-jī (Concise Colloquial Writing). Tainan, Taiwan: Jîn-kong (an imprint of the Presbyterian Church in Taiwan). 1992. Tân, K. T. A Chinese-English Dictionary: Taiwan Dialect. Taipei: Southern Materials Center. 1978. Maryknoll Language Service Center. English-Amoy Dictionary. Taichung, Taiwan: Maryknoll Fathers. 1979. Wi-vun Taiffalo Chiung, Tone Change in Taiwanese: Age and Geographic Factors. Ethnologue Report For Chinese Min-Nan. This report uses a classification which considers Taiwanese a dialect of Min-Nan, which is classified as a separate language from Mandarin. 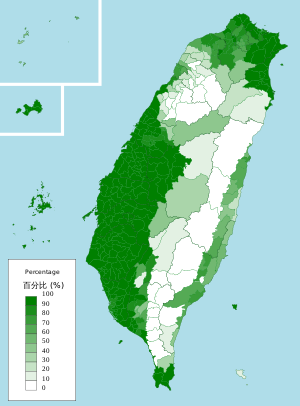 This view of Taiwanese is controversial for the political reasons mentioned above.